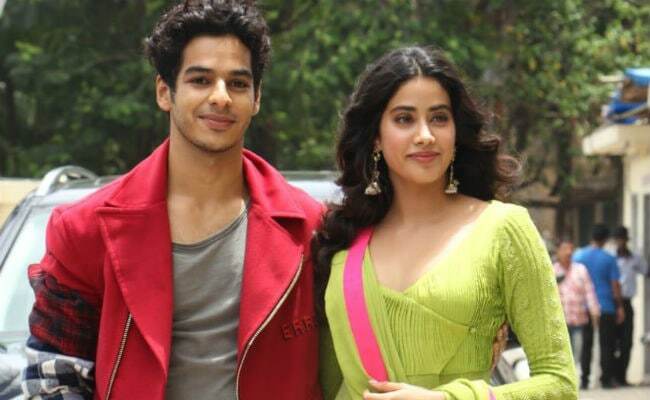 Janhvi Kapoor and Ishaan Khatter star in Dhadak, produced by Karan Johar. Karan Johar, who is all set to launch Janhvi Kapoor, daughter of late actress Sridevi and Boney Kapoor, opposite Shahid Kapoor's half-brother Ishaan Khatter, expressed his views on nepotism at the trailer launch of Dhadak and said that star kids should "grow beyond their name" and "make their own identity" in the industry, reports news agency IANS. Janhvi and Ishaan are the led pair of Dhadak. The 46-year-old filmmaker told IANS: "They (star kids) should grow beyond their name and make their own identity. I think that is our responsibility and their responsibility. These days people focus more on names rather than the talent, but they tend to forget that one puts a lot of hard work, heart, dedication, discipline and mental preparation to face the camera, the audience and the media... It is not easy, really. It is difficult." The debate on nepotism started after Kangana Ranaut labelled Karan Johar as the "flagbearer of nepotism," when she made an appearance on his chat show in 2016. "I know that word (nepotism) was doing around for last two years and I am again perhaps encouraging the same concept... but I will not utter the word. But I want to say, they are not here because of that word, but because of their hard work," IANS quoted him as saying. When Karan was asked how he ended up casting Janhvi and Ishaan in the lead roles for Dhadak, he told the media that in order to depict an innocent love story on-screen, he needed "first-time talent." The filmmaker also shared how he had heard a lot about Janhvi Kapoor from his designer friend Manish Malhotra and decided to meet her. "When I met her personally, I saw her potential to be on-screen and saw that spark and excitement," said Karan. Talking about Ishan, he said "I was judging a show with Shahid (Kapoor) where Ishaan happened to meet him on the set. So I just saw Ishaan and got a glimpse of a certain body language, expression and personality. So, I instinctively decided on him." Dhadakis a remake of the 2016 Marathi film Sairat. Directed by Shashank Khaitan, the film is scheduled to release on July 20.